Whether you’re looking to supercharge lead generation, engage your employees, or run comprehensive training and education, WorkCast has the event solution for you. Drive more revenue and build a pipeline with demand generation webinars from WorkCast. With the ability to host thousands of attendees, engaging with employees and stakeholders at companies, big or small, has never been easier. Deliver flexible and cost efficient training with the WorkCast platform. Engage and educate attendees with tools that will allow you to test, track and assess progress..
Webinars are an essential item in the B2B marketer’s toolkit. They are a tried and true method of delivering engaging thought leader, product and market knowledge to your target audience. Maximise your ROI with demand generation webinars. 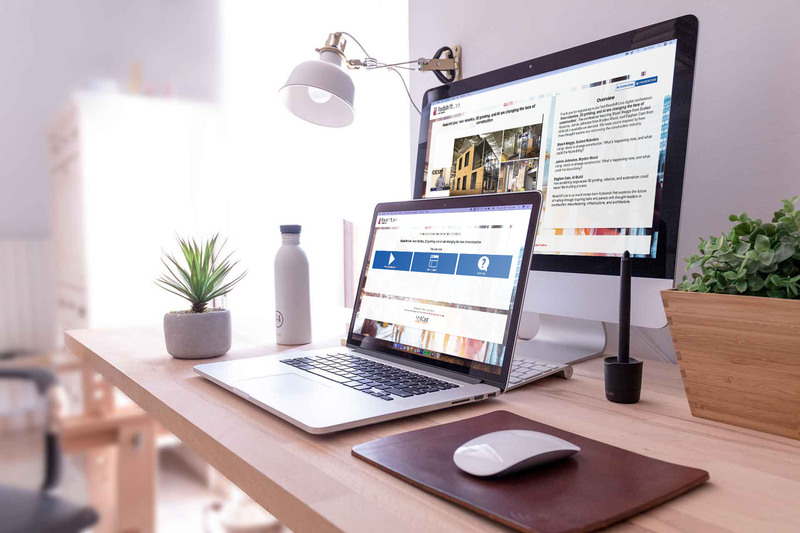 Not only are they cost effective, webinars and webcasts on the WorkCast platform help you create a reliable flow of qualified leads with live webinars, on-demand content and amazing branded experiences. Traditional meeting tools have always been the weak link in the marketers toolkit due to volume restrictions, the need for plugins and downloads, and design limitations. WorkCast is built specifically for marketers and demand generation. With our powerful, cloud-based technology you can get more attendees than ever before - WorkCast webinars generate up to 47% more attendees. That’s because WorkCast doesn’t require any plugins or downloads - no downloads, no plug-ins, no barriers. With WorkCast, you can identify the most engaged prospects with our powerful data reporting tools. See exactly how each attendee is engaged, allowing you to identify your hottest prospects. Grow your business with better prospects, better leads, better webinars. WorkCast is the platform for all of your corporate communications needs. From town halls to investor seminars and everything in between, keep your employees and stakeholders informed and engaged. Using WorkCast for your communications is a budget-friendly way to ensure your key stakeholders are up-to-date - no travel costs and your updates can go out to offices globally. And you can be confident that any scheduled event will go off without a hitch - our cloud-based technology is the most stable on the market. No technical difficulties to worry about, no downloads to troubleshoot. As well as empowering you to brand, integrate and secure your corporate communications,WorkCast also empowers your audience to engage with the content. From polls to Q&As to surveys, not only can you communicate with your employees, they can communicate with you. You can ensure that business critical information is getting out there, while also encouraging communications from the entire business. WorkCast can help you create a more effective workforce and offer external resources with online training programmes. Empower your teams to be better, to be more successful with comprehensive professional development. Get the the power of WorkCast’s platform and the flexibility to curate training plans tailored to your industry needs. Our analytics allow you to keep an eye on engagement and success, so you can determine what material is working and why. Built-in tests and assessments mean you can have attendees demonstrate their learnings and they get the satisfaction of knowing they passed. And the WorkCast platform features graded polls, the ability to track user activity and the facility to set up progressive channels where users can advance through courses and receive certification upon completion, meaning Continuing Professional Development (CPD) has never been easier. WorkCast also allows you to cut the costs associated with traditional training - no classrooms, no supplies, and the ability to reach a global audience with one online programme. That means you get to focus on what’s important - the students. Do you want to find out how WorkCast webinars can give your webinar strategy a competitive edge? 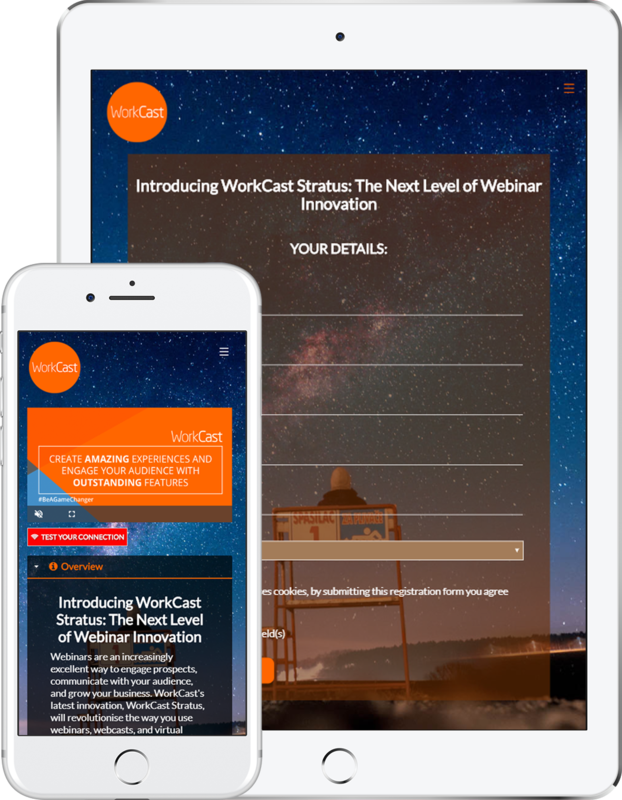 Get your free trial to see first-hand how WorkCast Stratus, the most powerful webinar platform on the planet, helps businesses supercharge lead generation and increase engagement with awesome webinars.